Transient voltages – temporary unwanted spikes or blips of voltage in an electrical circuit -- can come from any number of sources either inside or outside of an industrial plant. Adjacent loads turning on or off, power factor correction capacitor banks or even distant weather can generate transient voltages on distribution systems. 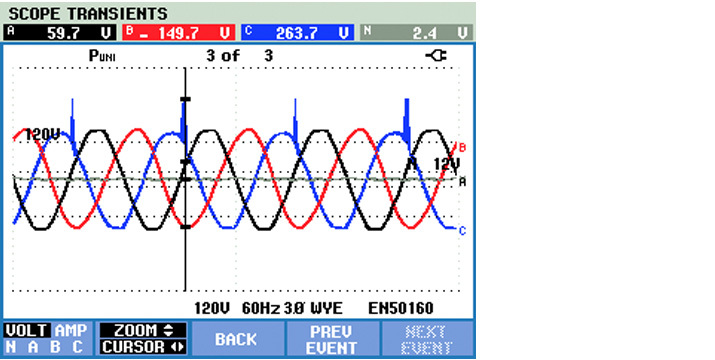 These transients, which vary in amplitude and frequency, can erode or cause insulation breakdown in motor windings. Finding the source of these transients can be difficult because of the infrequency of the occurrences and the fact that the symptoms can present themselves in different ways. For example, a transient may appear on control cables that don’t necessarily cause equipment damage directly, but may disrupt operations. The impact of the transients on motors can be severe. Motor winding insulation can break down, which can then lead to costly early motor failure and unplanned downtime. A good way to identify and measure transients is to use a three-phase power quality analyzers with a transient function, such as the Fluke 435-II. 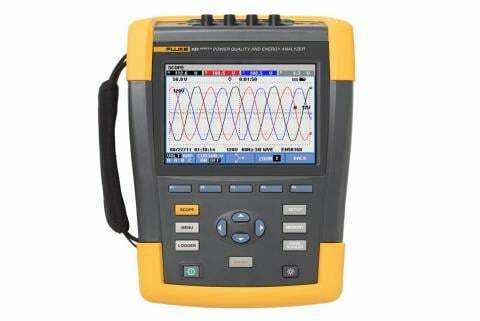 The transient function on the meter is set to greater than 50V above the normal voltage. The meter’s display will then show the potentially problematic voltage above 50V – the transients. 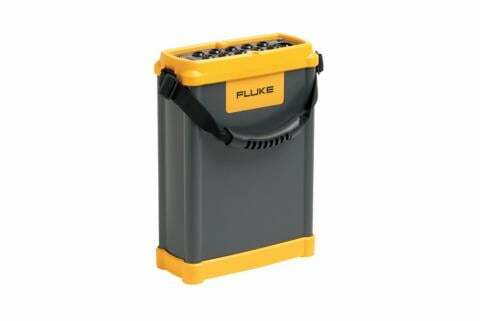 If no transients are found in an initial measurement, it is a good practice to measure and log the power quality over time with an advanced industrial power quality logger, such as the Fluke 1750 Three-Phase Power Recorder. 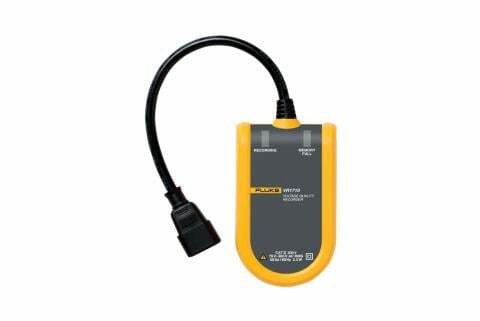 For identifying transients in single-phase circuits, a Fluke 43B Power Quality Analyzer can be used. Download "Power quality recording and analysis: Techniques and applications" to find out more about the various recording techniques available in power loggers and recorders and how they can affect your power quality strategy.